Thanksgiving is one of my favorite holidays. It’s a holiday not tainted by commercialization or the expectation of gifts. It’s simply about gathering with friends and family to celebrate all that is wonderful and bountiful in our lives. A time to be thankful. I hope you have a wonderful Thanksgiving and that you are blessed to spend it with people you love. If you haven’t, take some time to quietly reflect on all for which you are grateful, as the holiday season kicks into high gear later this week, finding time for gratitude can be a challenge. 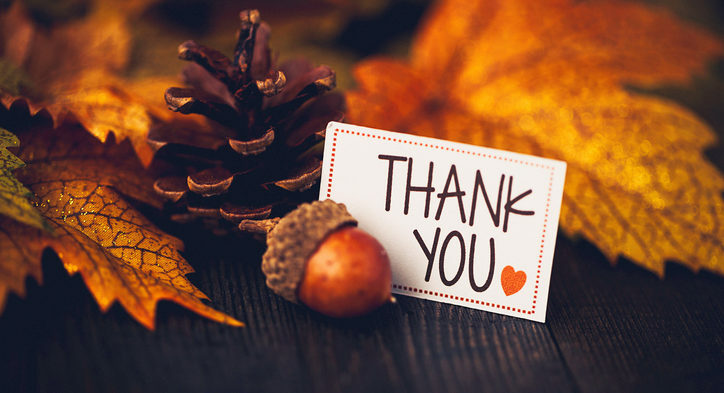 Thanksgiving reminds us how important it is to remain grateful.